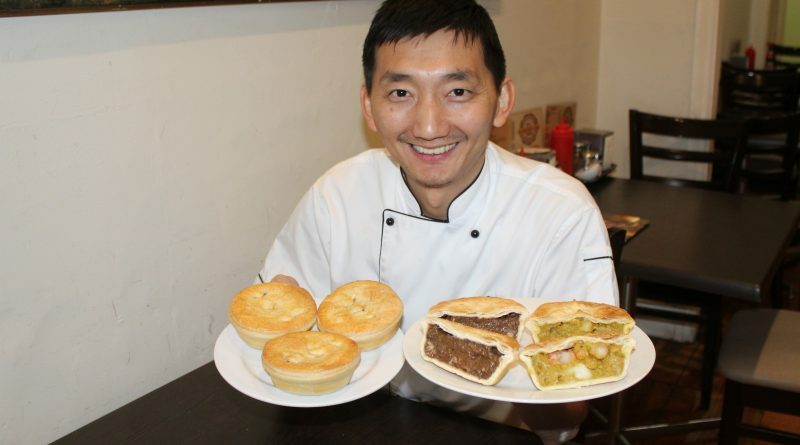 Country Cobb Bakery's Chan Khun has created Australia's No.1 Best Pie! Kyneton can lay claim to being the home of Australia’s No.1 Best Pie thanks to the innovation of Cambodian-born pastry chef Chan Khun. 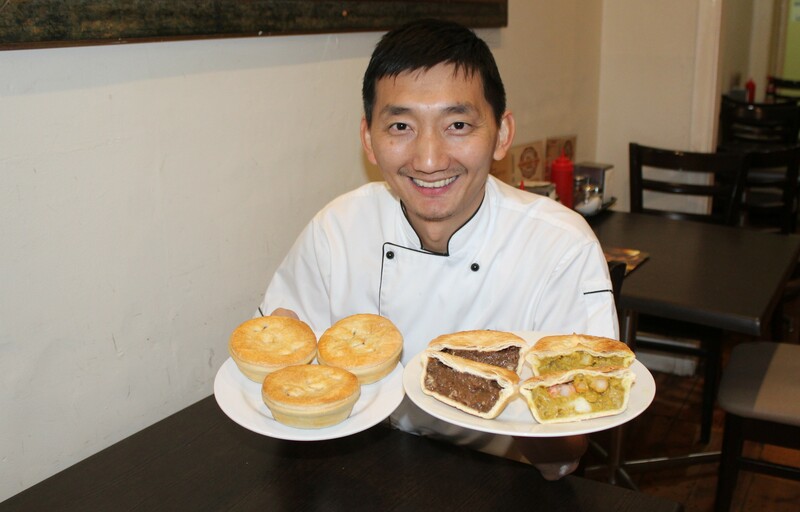 Chan’s Country Cobb Bakery claimed a total of seven ‘best pie’ titles for 2018, as judged by the Baking Association of Australia, but it was his unique creation of a satay seafood pie that really wowed the judges. Chan said the surprise selection of a non-beef pie to take the top prize was no surprise to him. “Everyone has satay with chicken, almost everyone knows satay chicken, but they never try it with seafood,” he told the Express. Last week the bakery was emptied of baked goods daily as people flocked from far and wide to sample the award-winning pies, which include the nation’s best plain mince and best vegetarian pies. “We have four trolleys in the cool room and everything’s gone, so I have to work a double shift tonight!” Chan laughed. Since news broke of the title win, Chan has received dozens of emails requesting supply of the pies but he is not intending to go into the wholesale market just yet. Chan has owned the Kyneton bakery for two years after choosing to make a tree-change with his family from Balwyn where he previously operated a bakery. Both his brother and sister are also bakers in the business and in the past two years their pies have won many awards, but Chan is thrilled to have finally claimed the top honour. “Our customers are happy for us, they love the food here, and they’re coming in to pat my back and say ‘well done’. 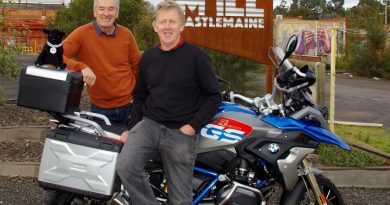 Greg Barkla and Bob Bent with Bob's bike and Winston the Black Dog mascot at The Mill in Castlemaine. 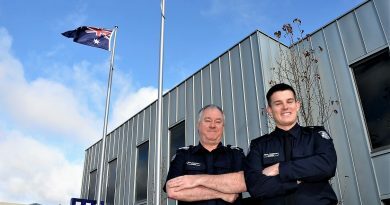 Castlemaine's Sergeant Mick Peckham and Constable Sean Robinson outside the town's police station. 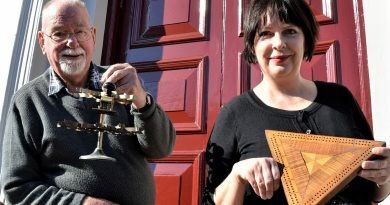 Pioneers and Old Residents Association secretary Wilson Bunton and Castlemaine library officer Donna Steven with some of the curiosities to feature in Chronicles and Curiosities of old Castlemaine.